The information below has been assembled by the Indigenous Clean Energy (ICE) Network and Lumos Clean Energy Advisors to document the breadth of activities being undertaken by Indigenous communities/organizations, government, ENGOs, clean energy development firms/advisors and others to reduce diesel reliance in off-grid, remote, and northern communities coast-to-coast-to-coast. The 2017 Federal Budget represents the most bold, comprehensive, and forward-looking effort to reduce diesel fuel consumption for power and space/water heating ever. The 2017 budget elements were diverse and included areas such as Arctic Energy, remote communities, northern communities, northern infrastructure and others. Some $600-$700 million is to be spent over an 8-year period. Federal programming is in the development/planning stage with funds largely slated for allocation beginning in the 2018-19 fiscal year. The involvement of, and impact on, Indigenous communities with this funding is of critical importance to the country. In August 2017, the federal government announced a major infrastructure initiative which will eliminate diesel fuel consumption for power needs, in the remote northern Ontario Indigenous community of Pikangikum. A 117km transmission line will be constructed from Red Lake to Pikangikum connecting the community to the Ontario power grid. The initiative is a part of the broader effort to connect 17 Ontario remote communities to the grid. "We look forward to a safer and healthier future with power for heat and light on a consistent basis," said Chief Dean Owen in a statement. "Pikangikum can now move forward with infrastructure, economic development and community growth." More details at Turtle Island News (click here to read the article). There was extensive Canadian participation in the third Arctic Energy Summit held in Helsinki in September 18-20, 2017 (the first two summits were held in Alaska). The delegation included representatives from the federal, the Northwest Territories, and Yukon governments as well as individuals from Gwich’in Council International, Lumos Energy, Pembina Institute, WWF-Canada. There were excellent presentations by Arctic leaders from: Alaska, Canada, Greenland, Finland, and Russia. 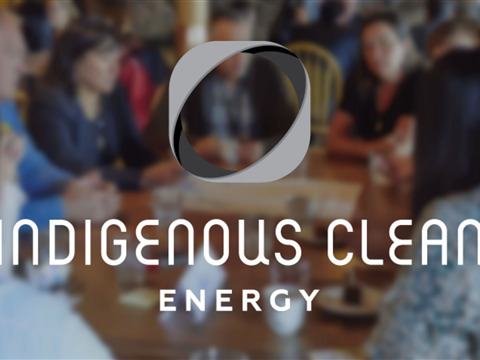 On October 10th, the Indigenous Clean Energy (ICE) Network presented a Remote Indigenous Communities Microgrid Innovation Workshop prior to the major Generation Energy Forum held in Winnipeg. The event profiled major remote microgrids in advanced stages of development in the Quebec Arctic, Nunavut, northern Ontario and the Yukon. Featured speakers included: Minister Jim Carr; Chief Wilfred King, Kiashke Zaaging Anishinaabek (Gull Bay First Nation), Ontario; Andy Moorhouse, Secretary-Treasurer, Pituvik Landholding Corp., Inukjuak, Quebec; Sheldon Nimchuk, Qikiqtaaluk Development Corp., Iqaluit, Nunavut; and Rosa Brown, Vuntut Gwitchin Government, Yukon. The audio recording and presentations from the workshop can be found here. Pictures from the event can be found here. Kudos to environmental NGO, Pembina Institute, and Dave Lovekin for organizing for the third time an event focused on renewables for Northern and remote communities. The Renewables in Remote Communities Conference will take place in Whitehorse, Yukon, October 23-26 and will delve into financial and human capacity needed for diesel reduction. More information can be found by clicking here. The Indigenous Clean Energy (ICE) Network will hold a Webinar on Financing Diesel Reduction in remote communities Friday, November 24th, 1 pm Eastern time (2pm Atlantic, 11am Central, 10am Mountain, 9am Pacific). The one-hour session will cover the 4 Financing Stages for diesel reduction projects: 1) Project Concept, Community Energy Planning, Project Configuration and Pre-Feasibility, 2) Project Partnering, Design, Cost/Revenue Estimation and Feasibility, 3) Construction Planning, Staging, Procurement, Team Assembly, Logistics and Site Preparation, and 4) Construction, Logistics, Power Integration, Commissioning and Operations. Look for call-in details in early November on the event page (click here). WWF-Canada has taken a leadership role in promoting renewable energy to replace diesel in Nunavut. Apart from taking projects forward to feasibility stage planning in targeted communities, WWF-Canada engaged Navigant to conduct research on the barriers to financing renewable energy projects in Canada’s remote northern communities. The research proposes strategies to overcome barriers to clean, reliable, renewable power. More information can be found here. The Qikiqtaaluk Corporation, the Inuit Baffin Island economic development agency is spearheading efforts to establish a remote, renewable energy-storage microgrid alongside the major Qikiqtani Development in Iqaluit. The project pre-feasibility study is complete, and dialogue with the Nunavut Government, Qulliq Corporation, the City of Iqaluit, CanNor, INAC and NRCan is now underway. The lead contact is Sheldon Nimchuk of Qikiqtaaluk Corporation. Gwich’in Council International, which sits on the Sustainable Development Working Group (SDWG) of the Arctic Council has kicked-off an effort to develop an Arctic Sustainable Energy Futures Toolkit, assisted by Lumos Energy, and supported by the Canadian government. The Toolkit will be available in late 2018, and will provide a “how-to” for Arctic communities as they plan their energy futures and promote community energy planning, Indigenous ownership/involvement in diesel reduction efforts such as renewable energy, and a host of user friendly materials. The key contacts are Grant Sullivan of the Gwich’in Council International and Eryn Stewart of Lumos Energy. The new CEO of Hydro Quebec Distribution (HQD) has set out a clear and focused mandate to examine and implement alternatives to diesel power in the province’s 23 remote communities and autonomous grids. 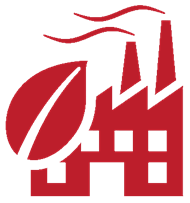 The Îsles de la Madeleine is a key focus with its existing 30 MW fossil-fuel generating plant. Additionnally, HQD is eager to have action move forward in communities in the Nunavik region. The company is engaged in very active dialogue with Inuit and Cree communities in this regard. Canada’s first fully-integrated renewable energy-storage micro grid is well on its way to implementation. The Gull Bay Microgrid, to be owned 100% by Kiashke Zaaging Anishinaabek (KZA) once operational, will displace 25% or more of the diesel fuel now used by the existing generating system. The Gull Bay Microgrid represents the kind of community-owned, sustainable-energy fueled, economically-viable, benefit-generating and climate-friendly 21st century energy infrastructure that remote Indigenous communities require and can lead. The KZA is a remote, isolated community in northern Ontario, 2.5 hours drive North of Thunder Bay. The geographic location of the community means there are no plans to connect the community to the provincial grid through transmission. The Old Crow Solar Project continues to advance. This summer they ran test on various solar panels and systems set-ups to determine the optimal configuration. They are now entering into Power Purchasing Agreement negotiations with local system operator ATCO. They also created a video about the project which featured the communities youth and demonstrated the benefits of the project. The video can be watched here. The project was shortlisted for the Arctic Inspiration prize in 2016. The Northwest Territories government has signaled that actions to reduce diesel in 5-10 remote Indigenous communities have a priority in pan-Canadian efforts. It is expected that the Territory will reach out to Indigenous governments and communities throughout 2018 to determine how projects will be developed, managed, financed and operated. As part of its long-term energy planning innovations related to energy diversification, coal phase-out, and action on climate change, the Alberta government is very open diesel-reduction initiatives in the seven off-grid communities in the province. Key to this development is ensuring that Indigenous communities have “primacy of place” in the development of alternatives to diesel, and have clear, definitive and substantive ownership and participation in diesel alternatives. While most efforts at diesel reduction are focused on energy efficiency and renewables, there is also a case to be made for advanced efficiency diesel systems. NT Power introduced a technology from California-based Innovus Power, in a NWT community in early 2017. The variable, low speed drive Innovus engine has the potential to reduce diesel fuel consumption by 20-30%. Results of the technology’s performance should be available from NWT in mid-2018. Find the downloadable version of the report attached below or by clicking here.